It all started when the masterminds behind John Frieda opened their first salon on New Cavendish Street, London. Fast forward three decades and this once small salon blew up to become one of the most iconic hair brands on the market. 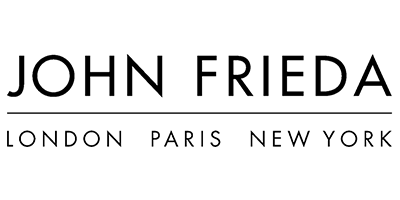 John Frieda ensures that the brand reflects the salon’s heritage and philosophies, providing consistently high quality and hardworking products. The aim is simple: to deliver outstanding and noticeable results that fix any and every hair woe or worry. Providing you with a salon-worthy finish every time, John Frieda boasts six main collections to enhance the look and feel of your locks. John Frieda knows that every person requires a tailored range to address their specific hair problem. With this in mind, the Frizz Ease, Luxurious Volume, Sheer Blonde, Brilliant Brunette, Full Repaid and Radiant Red lines were born. Whether you’re suffering from colour fade or unruly curls, John Frieda have bottled up salon-worthy results for you to take home. Find out which range suits you and your hair needs below.